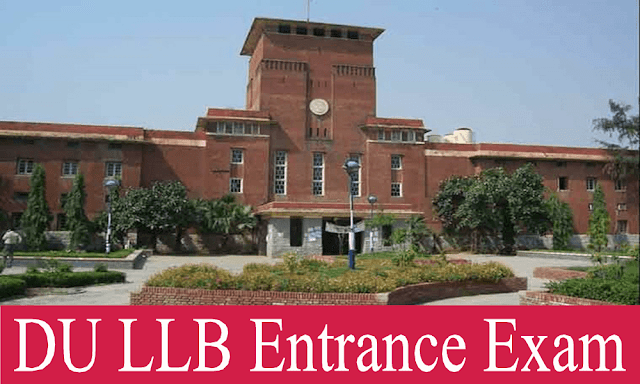 The DU LLB Entrance Exam 2017 process is done and now it is time for DU LLB Entrance Exam 2018 aspirants to start preparing. The total number of seats available taking into account all three DU colleges ( Faculty of law DU, Campus Law Centre I and Campus Law Centre II ) is 2611. There are around 25,000 applicants who will fill the application form out of which around 18,000-19,000 people will appear for the DU LLB exam which means that approximately one in seven students is selected. Although it is very much possible for a student to himself/herself clear the exam based on self study but I am inclined to think that the student who prepares on his/her own will have to put in a lot more hard work because one is bound to need a mentor in case one gets stuck on a question. Moreover, I feel that Law coaching institutes give your preparation a direction and regular tests taken by a coaching institute will help you know where you stand vis-a vis competition. Studying in a group creates a conducive environment and you can put in longer hours. Plus nothing can beat going to a coaching institute and then going back home and revising what was taught. Most importantly these law coaching institutes give their own study material which means that studying only that material is enough. All these institutes have been in the legal field for so long that they can more or less predict the test paper. You will solve so many questions of the type of questions that will appear in the exam that you would thank your stars for enrolling in these institutes. Not only do these institutes help you get prepared for the exam but they also help you with the stage where you are filling the exam forms. Every student is bound to have a few doubts while filling the application forms and you can easily contact your mentor from the institute to help you. Moreover, if the counseling process seems confusing then again you have your teacher-mentors willing to guide you. Your mentors will basically take all your headache and make it their own and all you will need to do after that is study. That is all from my end. All the best! Get the list of top Law Coaching Institute to prepare DU LLB Entrance Exam 2018.